Throughout the history of this beautiful game we have seen the rise and fall of many magnificent and effective playing styles. Football, more than any other sport, transcends the confines and barriers that culture has placed on it and transformed into an art form. This becomes earth-shatteringly evident when you look at the bodies of work of some of the greats, when they step out on to the pitch they are no longer athletes, but artists. At any given time, football has been played by individuals and teams with distinct and varied attitudes towards how the game we love should look. A football style can define a generation of players, and ultimately lead nations to the edge of glory. We are completely and utterly spoiled as football fans today, as on any given day of the week we can watch a wide spectrum of renditions of people’s opinions on how they define the game. Within England’s Premier League alone you can see possession play of Swansea and Arsenal, change the channel to the archetypical British match when Stoke play Bolton… in the rain… and the mud… and the blood. This diversity is a by-product of how widespread and popular the sport has become. Each country has created their own footballing identity that mirrors their respective cultures. Whether it is the gradual build-up play of Serie A, or the aggressive, play-with-your-heart-on-your-sleeve style that is still prevalent in the English game, the differences and resultant comparisons are what make this the most popular sport in the world. These tactical, technical and philosophical variances are what give rise to questions about whether world champions Barcelona really could win on a cold night at the Britannia stadium, in the aforementioned rain, mud and blood. In North America, we are used to sports that are unimaginative and, dare I say it, boring in terms of the tactical and technical diversity, because of this, we have trouble pinning down exactly how this sport we call “soccer” is supposed to be played. Because there isn’t one cookie-cutter style prevalent in the sport, it becomes hard to replicate. 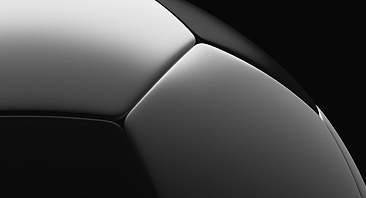 Football is a sport for innovators, not copycats, and the simpler the style the better it will work. Take a look at one of the most successful nations in modern football, Brazil. Much of their success can be attributed to one fundamental training method that is instilled in young players since the day they start kicking, who are eventually honed into some of the best footballers in history. Not only are these concepts ludicrously simple, but they tend to suit the culture of the country which creates fertile soil for them to take root. In Brazil, if you cannot play football, then futsal is your game. However, futsal originated across the border in Montevideo, Uruguay, back in the 1930s as a game to be played in YMCAs. The name futsal was shortened from futbol sala, meaning “indoor football”, and it was introduced as a sport due to the lack of available football fields and infrastructure. Innovation. 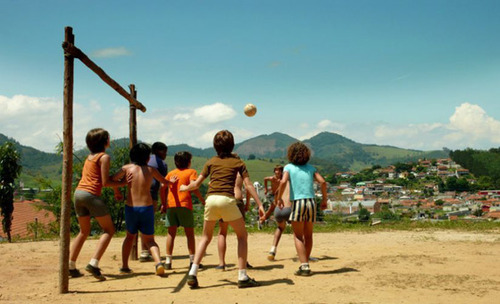 It was for this reason that the beautiful game was taken to basketball courts and gyms, any area that a group could gather to kick around a football. This Uruguayan sport was quickly adopted by Brazilians on the streets of São Paulo, Rio, Porto Alegre and rest, as they say, is history. If the English invented football, the Brazilians perfected it. It’s hard to argue with five World Cups, but I’ll leave this discussion for another day. It is important to note that Brazil lifted their first World Cup in 1958, almost two decades after the introduction of futsal. Futsal is played on a hard court surface with a smaller, harder and less bouncy ball than a regular football and the very fabric of the game, enclosed spaces and fast play, creates a need for improvisation, technique, and creativity from its players. When trying to describe Brazilians and the way they play the game, it’ll be no coincidence if you relate to these precise words. The small spaces and tight marking demands players to constantly innovate ways to beat defenders, and it is no coincidence that Brazilians are widely regarded for their ability to thrill in this respect, as they grew up in such an environment. Ronaldinho, a poster-boy for “Joga Bonito”, one of the best footballers of his generation and one of the trickiest attackers to defend against, discovered his genius through futsal. A popular Nike video shows Ronaldinho as a boy showcasing tricks and flicks that he would one day produce as a global superstar. Would we have witnessed anything near to what he and his compatriots have entertained us to over the years if they had not learned to think and move quickly in tight spaces on the courts of Porto Alegre? Futsal is now a tried, tested, and true training method for football teams from the Czech Republic, to Japan, to Canada and everywhere in between. The footballing world has recognized the value of the game, yet no nation has perfected it quite like the Brazilians. Indeed, of the six Futsal World Cups held so far, Brazil have won four, and been a losing finalist in another. Children are playing futsal as soon as they can walk in Brazil: it has become a part of the country’s footballing culture which runs through their blood, and the flair that it encourages will ensure Brazil keep their place at the top of the footballing world for generations to come. This was a guest article by Caleb Cousens, a youth football expert who writes at Football Cantera. You can follow Caleb on Twitter at @FootballCantera. Comments below please.